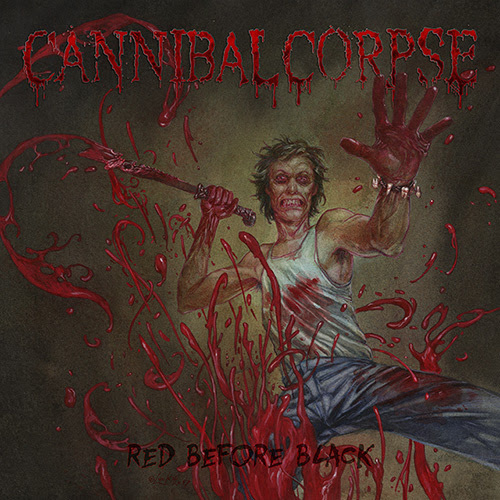 Tomorrow (November 3rd), Cannibal Corpse will release their 14th full-length, ”Red Before Black”, via Metal Blade Records. Many words come to mind when you hear the name Cannibal Corpse, but one truly defines the soon-to-be thirty-year death metal veterans: Unstoppable. Produced by Erik Rutan (Hate Eternal, Goatwhore). ”Red Before Black” serves to not only reiterate this but to once more raise the stakes, making it very clear who sets the standard when it comes to always compelling music that is equally brutal and complex. Moreover, the band have pushed themselves again, ensuring that it stands out from their catalog. Many words come to mind when you hear the name Cannibal Corpse, but one truly defines the soon-to-be thirty-year death metal veterans: Unstoppable. Produced by Erik Rutan (Hate Eternal, Goatwhore), ”Red Before Black” serves to not only reiterate this but to once more raise the stakes, making it very clear who sets the standard when it comes to always compelling music that is equally brutal and complex. Moreover, the band have pushed themselves again, ensuring that it stands out from their catalog. 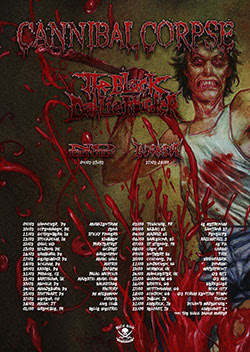 In support of ”Red Before Black”, Cannibal Corpse will head out overseas in early 2018 for a European trek with The Black Dahlia Murder, No Return, and In Arkadia. See below for all dates. Testament unleash announcement video for European “Brotherhood of the Snake Tour 2017” With Annihilator, Death Angel!